Nawaz Sharif claimed another victory yesterday, as Kuwait has decided to lift six-years old visa ban for Pakistanis after the PM discussed the matter with his counterpart Sheikh Jaber al Mubarak al Hamad al Sabah. However, this victory has been somewhat overshadowed by scandal because by announcing the good news, the government has also exposed itself as making false attacks against those who tell inconvenient truths. The issue of Kuwait’s visa ban surfaced during debate about American President Donald Trump’s order to ban visas for several Muslim countries known as a ‘Muslim Ban’. During this discussion it was noted by former Ambassador Husain Haqqani that actually Kuwait also had also banned visas for Pakistani citizens since six years ago. Haqqani was immediately attacked by the Foreign Office in an official statement. Meanwhile, as “fake news” against Pakistan was doing the rounds, the spokesman came down heavily on Pakistan’s former US ambassador Hussain Haqqani who was caught while retweeting five years old news, claiming that Kuwait had put a ban on Pakistani visas. 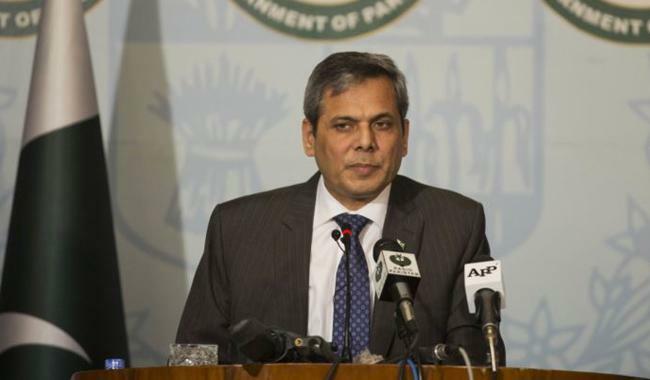 By announcing the reversal of the ban, though, the government has shown that the ‘Fake News’ was coming from none other than spokesman for the Foreign Office Nafees Zakaria! Whatever one thinks about Husain Haqqani, he has hit the nail on the head this time. “Standard Operating Procedure: Deny, then deny the denial”. We have seen this over and over again, especially with attacks against anyone and everyone who dares to point out inconvenient facts that don’t fit a particular ‘narrative’ of how we wish reality was. Will the FO apologise for attacking Haqqani’s character when he obviously did nothing but tell the truth? Or was the FO really unaware of Kuwait’s visa ban? If this is the case, then they not only owe Haqqani an apology, but a sincere ‘thank you’ for alerting them to the situation. Either way, the conclusion is clear: Officials need to do more listening, and less attacking, if they want to solve national problems. That is undeniable.